Although she has been a fixture on the Canadian musical theatre scene for many years (with roles in Piaf, Jacques Brel is Alive And Well And Living in Paris, The World Goes &#145;Round, Blood Brothers, The Roar of the Greasepaint, The Smell of the Crowd and Applause) Louise Pitre&#146;s profile has risen significantly since she was cast in the leading role of the Broadway production of Mamma Mia!. This recording &#150; which was made sometime before her Broadway success &#150; reveals an artist of rather more diverse tastes and talents than might be apparent from her work in the ABBA vehicle. Pitre&#146;s big, expressive voice is impressive by any standards. It has some of Judi Connelli&#146;s intensity but is lighter and more flexible. She has chosen a diverse program with Kander and Ebb&#146;s &#147;A Quiet Thing&#148; the only obvious musical theatre &#145;staple&#146;. Harry Warren&#146;s &#147;An Affair To Remember&#148; receives an unusually powerful &#150; but effective &#150; interpretation and a lovely string arrangement. On the other hand, &#147;Rock-A-Bye Your Baby With A Dixie Melody&#148; gets a simple piano accompaniment with a slowed-down, bluesy vocal. The newer material is generally not up to the standard of the old though Leslie Arlen&#146;s &#147;Love Letter&#148; is touching and well performed. Three French songs (two written by Pitre herself) fare better &#150; not least because they receive some of her most ardent performances. Fans of Mamma Mia! will enjoy Pitre&#146;s versions of &#147;Slipping Through My Fingers&#148; and &#147;The Winner Takes It All&#148;. Unfortunately, the synthesised arrangements don&#146;t sit well with the largely acoustic sound of many of the other tracks but the vocals are as committed as ever and transcend the rather bland settings. A surprising highlight is Leslie Bricusse and Cyril Ornadel&#146;s &#147;If I Ruled The World&#148; (from Pickwick). Singing with great power but without the usual bombast, Pitre makes the most of Ornadel&#146;s soaring melody. 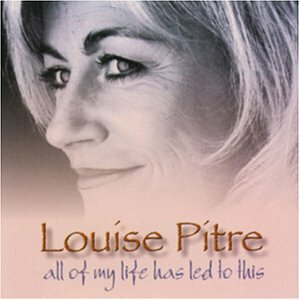 Even when the standard of her material falters, Louise Pitre&#146;s fine voice makes this a consistently enjoyable recording. Just as sales of the CD will no doubt benefit from her appearance in one of the bigger hits of recent Broadway seasons, others may be tempted to visit the show just to hear this terrific singer in the flesh.